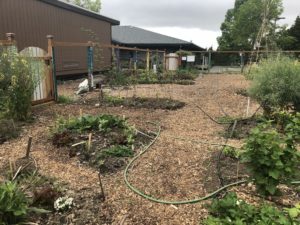 The Kulshan Middle School garden was started in 2015 with support from Common Threads. The garden was sheet mulched and pieced together from donated items, many coming from Happy Valley school which was dismantling their garden during school reconstruction. A generous grant from Lowe’s helped pay for a beautiful fence, put in through the sweat and generosity of a vocational-technical skills teacher and decorated by art classes. A rain catchment system was added through a partnership with the City of Bellingham and ReSources and fruit trees came quickly afterwards. 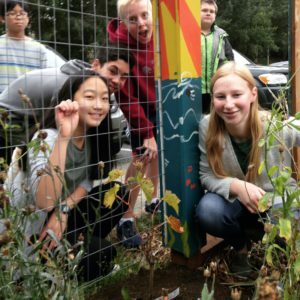 In the fall of 2017, students began to establish a permaculture food forest in half the garden with familiar fruiting plants and some unusual berries, with the other half of the garden dedicated to annual beds and experimental space for the science classes. 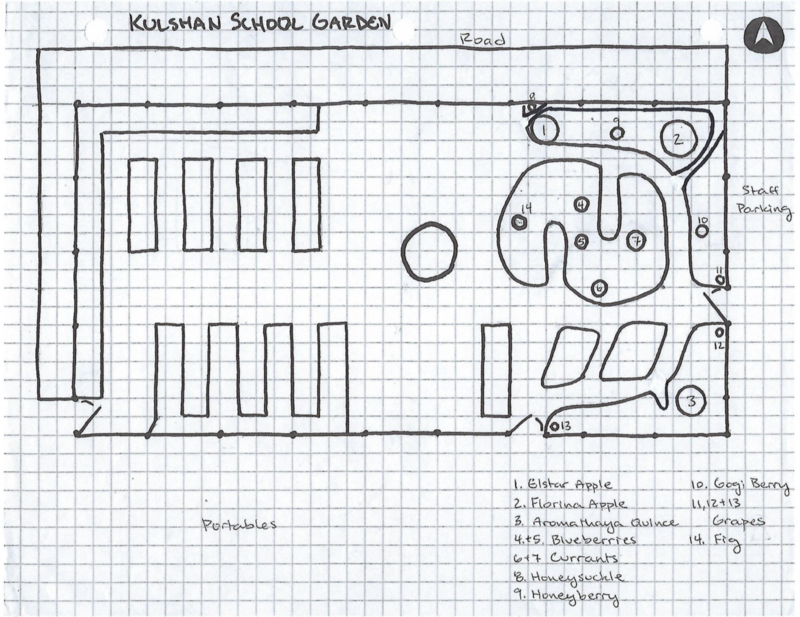 In the spring of 2018, an ADA accessible raised garden will be added to support Kulshan’s life skills program. Kulshan Middle School has 1229 square feet of growing space. It is located at 1250 Kenoyer Drive, Bellingham WA 98229-2346. Kulshan Middle School has a Common Threads Facebook Group you can join!